Even after the recent ouster of Omar Al-Bashir, Sudan’s embattled former president, the crisis continues inside the borders of Africa’s geographically largest nation. Al-Bashir’s demise was engineered in the same manner he took power 30 years ago; through the use of force by means of a military coup. The coup that ejected him from his throne of bones was undertaken by a Sudanese military council led by General Awad Ibn Auf (pictured). Gen. Ibn Auf was sworn in quickly after Al-Bashir was deposed. The military council he leads became the de-facto ruling body of Sudan. A two-year transitional rule was proposed along with a three-month state of emergency declaration, which would have cut Sudan off from all nations until security could be restored. However, the hordes of protesters (many of whom were representing the foreign-backed Sudanese Professionals Association) showed that they did not trust Gen Ibn Auf or the military council that essentially could have the power to eventually impose martial law on the people of Khartoum, the capital city of a Sudanese nation in need of deliverance. Within a 36-hour period, Al-Bashir surrendered his rule, the man who led the toppling of him was sworn in, and that very same man stepped down. 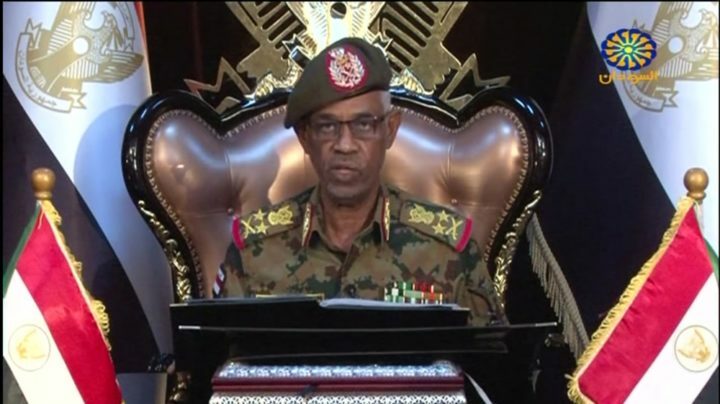 Friday evening (April 12) on Sudan TV, Gen. Ibn Auf publicly announced his resignation and designated his successor. “I, the head of the military council, announce I am giving up the post,” he said, according to Al-Jazeera. Gen. Ibn Auf said that he relinquished his authority for the sake of keeping Sudan’s Armed Forces unified. “[My] Lieutenant General Abdel Fattah Adelrahman Burhan will now head the transitional council,” he went on to say. However, there are many in Sudan’s provinces north of the Juba government region in the south who do not want military rule or secular rule by a democratically elected government. These people seek a theocratic government system, which is legislated by the laws in the Holy Quran. The demands of social justice by these groups should be taken very seriously. One doesn’t have to look very far back in African history (in places such as Egypt) to see what happens when ostracized Muslims feel abandoned and left out of the political establishment. The bloody 1981 assassination of former Egyptian president Anwar Sadat is a grim historical example of what happens when this powder keg explodes. Similar circumstances can become of any future Sudanese leader who is the figurehead of a government that does not represent Sudan’s vast population of devout Muslims who live all throughout Africa. 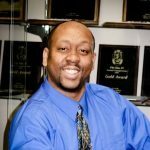 Western political powers preach the gospel of democracy but they do not exercise the value of inclusion when it comes to the limited cultural and ethnic identities of their government officials. These officials are supposed to be a statistically accurate representation of a nation, province, or state’s general population.